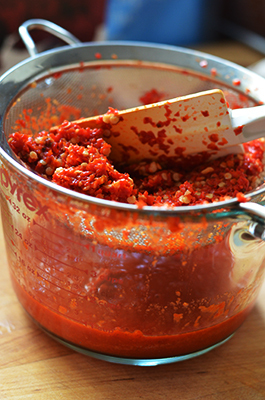 #HeartSmart and fight #infection with homemade Sriracha Sauce! What a great way to get both capsaicin and garlic into your diet. Capsaicin is great for the heart and anti inflammation and garlic helps to fight infection. The best part is no preservatives or xantham gum Share this and pass it on. 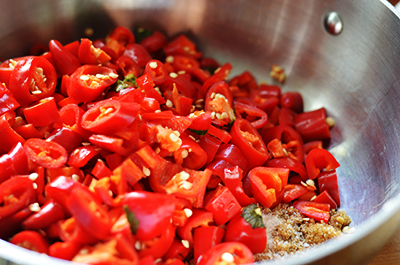 1 – In a medium saucepan over high heat, add peppers, garlic, brown sugar, salt, vinegar and 1/4 cup of water. 2 – Bring the mixture to a boil, then lower the heat to a medium low. Let simmer uncovered for about 5-7 minutes until slightly thickened. Remove the pan from heat and let the mixture cool. 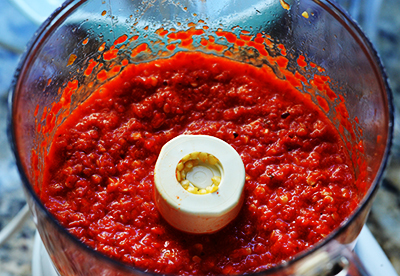 3 – Transfer the pepper mixture to a food processor and puree until smooth. Add a little more water if you find the mixture too thick. 4 – Place a strainer over a large measuring cup or a medium-sized bowl. Pour the pepper puree into the strainer. With a rubber spatula or the back of a spoon, press the mixture into the strainer. You will be left with some of the larger pepper pieces and seeds. 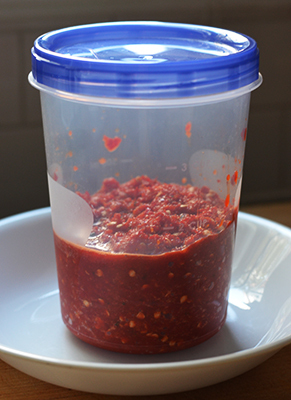 5 – Transfer the sauce to a clean airtight jar or container. Keep the sauce refrigerated and it should keep up to a month if you don’t finish it before then! 1 – Place the peppers, garlic, brown sugar, and salt into a blender or food processor. Pulse until the peppers are finely chopped. Transfer mixture to a clean container with a lid and let sit at room temperature for about 5-7 days to let it ferment. 2 – Check the jar everyday and give it a stir. Bubbles will be forming and the mixture will slightly increase in volume. 3 – Pour the mixture into a blender and add the vinegar. Puree until smooth. Place a strainer over a medium-sized saucepan. Pour the puree into the strainer and strain the mixture into the saucepan using a rubber spatula or the back of a spoon. You will be left with some of the larger pepper pieces and seeds. 4 -Over high heat, bring the mixture to a boil, reduce the heat to medium low and let simmer for about 7-10 minutes or until the sauce clings to a wooden spoon. Take the pan off the heat and let the sauce cool. 5 – Pour the sauce into a clean airtight jar or container. Keep the sauce refrigerated and it should keep for more than a month to six months. Hello! This looks incredible, Poppy shared it yesterday on her blog. I wanted to know if it freezes well- as I have SO many chilis from my garden and looking for something to make with them. Thanks!